For multi-location brands, local marketing poses a set of unique challenges. For starters, the “pay and spray” model of getting all of your locations listed is hopelessly outdated, and doesn’t factor in the emerging local marketing trends like geofencing, social proof, and more. Secondly, multi-location businesses often have different objectives based on each location, so just one singular, rigid strategy for every brick-and-mortar spot simply won’t suffice to really win out over competitors. Add in multiple owners with divergent ideas about local marketing, and you have a whole new set of complications. But we come bearing good news. If you follow this process, you can take your local marketing efforts to new heights. Trust us. In an article entitled Franchise SEO: For Masochists Only, local marketing expert Andrew Shotland describes the unique problems franchises face in the context of context. Shotland focuses on corporate office vs. franchisee tensions, painting a picture that is rife with conflict — mostly due to the fact that both parties have different views on what a local strategy entails. However, Shotland is clear in his view that corporate should control listings. He writes: “If each location is managing its own local business profiles, there will be little standardization of messaging and most likely lots of NAP issues that will be difficult to repair unless the listings are rolled up into a single account.” For enterprise brands even one small error on one listing from one directory can have an adverse affect on your entire business’ local SEO. When controlling your listing data on a per-location basis from a centralized local listings platform, you’re helping the entire company’s digital performance. Besides, your local franchisees may not have the bandwidth, desire or expertise to take care of this arduous (and integral!) task. Get Listed Where it Matters… Then Optimize! Implement a solid review management strategy that encourages your most loyal customers to share their experience online. Create a good foundation for user-generated content on social directories like Facebook; ensure your in-store visitors are provided “share-worthy” moments to show their networks. Ensure you always (always!) update your listings to match holiday hours, special events, closures, and so on. Keeping your listings information updated is like a pulse check for the directories — show them you’re alive and well! We know, we’re always harping on the value of data, data and more data. But the fact of the matter is, without actionable insights, your local marketing campaigns are completely up in the air — void of direction or any clear notion of ROI. And, what matters more than ROI? Nothing. Insights and analytics driven from your local campaigns are what will allow you to diversify your efforts on a micro (per-location) level. By generating data on busiest time of day, how online searchers are converting, when they’re converting and their demographic, you can customize your local marketing efforts. You might want to switch up your keyword bidding based on search volume information, or offer your franchisee extra support on the phones, based on data generated from your call tracking tool. In essence, data and analytics offer a dual benefit: you can transform insights into smarter campaigns, and furthermore, offer corporate a bird’s-eye view on individual franchisee’s local performance. Pro tip: Get monthly reports that show how your franchise is performing, and share reports with your franchisees to maintain open lines of communication. This is where excellent communication between corporate and franchisees becomes really important. Your franchisees have great insights about their local consumers, and the corporate office has information on the latest marketing trends — and what work needs to be done to capitalize on these trends. In his article, Shotland urged the importance of each party educating one another, and this is particularly true when it comes to crafting strategies on a per-channel basis. For example, your local franchisee might be aware of certain trends in the area that the business should capitalize on, such as a new iteration of Pokemon Go. Picture this: if the franchisee sees a lot of Pokemon players out and about in the area, and you’ve done your duty to educate on the importance of capitalizing on “offline” trends for “online” benefits, you’re priming yourself for a great campaign. Furthermore, when the franchisee knows that their demographic is big on Snapchat and Instagram, they can use this information to combine what they see and the strategic direction of corporate. Next thing you know, you’re launching a campaign that offers a 10% discount for customers who captured a Pokemon in your store and subsequently shared their experience on their social networks, complete with your geolocation and your business’ hashtag. Hello, new followers! No matter where your business stands on the local marketing path, there are a few key things you should always remember. ♦The more centralization you can do, the better: decrease the amount of work for franchisees and increase accuracy. 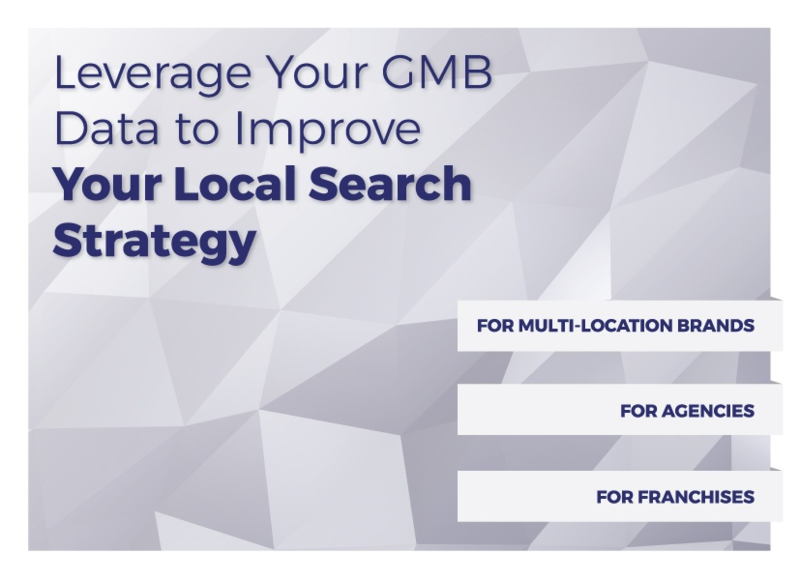 ♦Generating company-wide insights from your local data will help you execute better campaigns, and also give you an excellent view of how each location is performing. ♦To win out over your competitors, you need to capitalize on marketing trends and understand what your consumer wants on each channel. For this, education is key. SweetIQ’s local marketing platform is the first step to getting your franchise’s local marketing efforts in order. See it in action.